While the drinking scene in Philly is constantly evolving, we’re not always in the mood for craft cocktails, $10 beer snifters, or the word "mixology." Sometimes, only a good dive bar has the cure for what ails you. 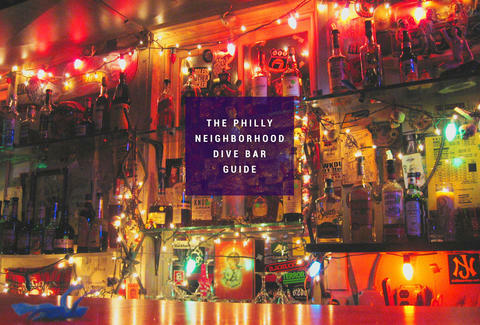 Since the city has its fair share of dives, we’ve gone and sorted out -- having to make some very tough calls -- the best dive bars in 13 neighborhoods across the city. The Dive Bar has everything you'd expect in a... dive bar. At the DB, you can enjoy $2 drafts during happy hour (along with FREE PIZZA!) and cheap drinks all other hours of the day. Since the bar is in a basement, it’s very reminiscent of drinking in your parents’ house, except you don’t need to hide your drink when you hear the door opening. It wouldn’t be a dive bar list without mentioning everyone’s favorite, Oscar’s. Just a few blocks from City Hall, Oscar’s is in the perfect location for anyone who works in the heart of town. The 23-ounce Yuenglings for $3.25, good bar food, and year-round Christmas lights make the bar look like a scene from that weird Ryan Gosling movie. Be sure to build up that liquid courage before braving the bathrooms. With dim lighting and the smack of pool balls colliding through the night, a typical night at the Green Room could easily be confused for a scene out of The Color of Money, sans Tom Cruise. Assuming you haven’t been hustled out of all your drinking money for the night, Green Room offers a pretty expansive beer list for your local dive (15 on tap). Depending on the night, it may or may not be crowded, but there will always be a waiting list at those tables. 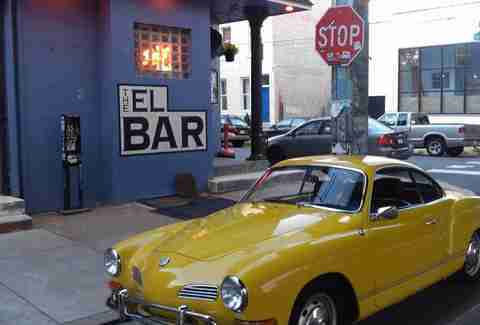 In a neighborhood full of hipsters trying to be cooler than they really are, Fishtown’s El Bar is a place that is confident enough to be what it is: a fun neighborhood bar with a diverse, and occasionally oddball, crowd. At the El, you can find $2 pounders, or try the signature $5 Kensington Happy Meal that includes two hot dogs, a bag of chips, a PBR, and a toy. Plus, it’s one of the only dives in the city to have a backyard patio, perfect for those times where you need a little sunshine with your happy meal toy. 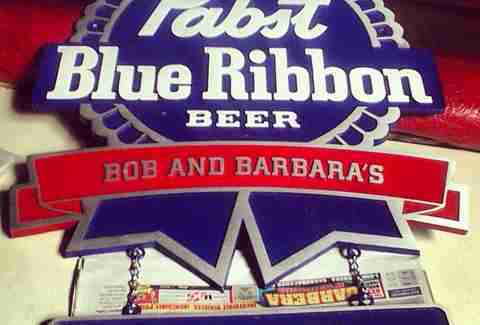 For all those purists out there, if you’re looking for the OG city-wide special, head to Bob & Barbara’s for a $3 PBR and shot of Jim Beam. 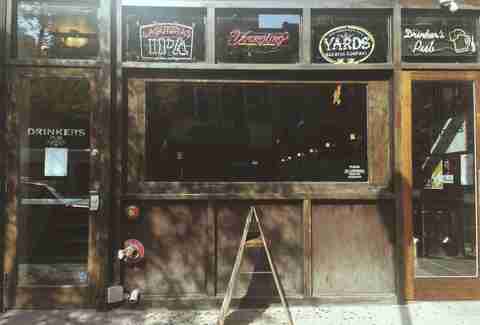 What started out as a mid-week promotion has spread to pretty much every bar in the city, so you should probably stop by and pay homage to the bar that's helped you make rent a little more manageable over the years. B&B’s Thursday-night drag show with Miss Lisa is also not to be missed. As the sign says, this is where the “real Yunkers” come to drink. A no-frills establishment, Cresson Inn is the Cheers bar, minus any sense of cuddly self-awareness. There’s no kitchen, so you’re coming here strictly for drinking, and it’s easy to knock back a few when it's serving High Life ponies -- the official drink of your uncle who collects his checks from the city. All joking aside, Cresson Inn is the perfect escape in a neighborhood filled with raucous college kids. You may feel out of place at first if you're not a union worker looking to throw darts with another union worker. But if you need a little more convincing, The Handle Bar is the best option in NoLibs if you’re looking for cheap drinks, a laid-back vibe, and the occasional conversation with bartender Chalk or one of the many regulars. South Street’s Tattooed Mom is the Jekyll and Hyde of bars. At the downstairs bar, you have the standard dive that looks like it was decorated by your aunt who likes to take her medicine with a glass or two of Chardonnay. 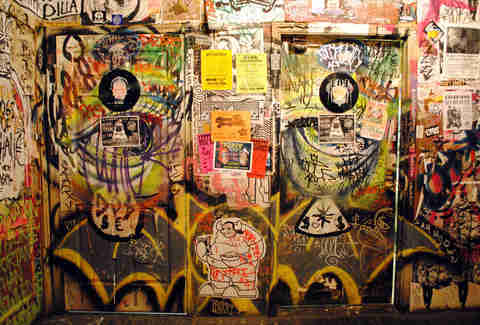 Once you head upstairs, you’re in for a different experience with walls completely covered with stickers, graffiti, and drawings by local artists. That’s without mentioning the seats made with repurposed carnival rides. A true hole in the wall -- or technically a hole in the ceiling since it’s located above Ethiopian restaurant Abyssinia -- Fiume is a shoebox-sized dive bar in the Western part of University City. Despite its diminutive size, Fiume has one of the better drinks selections you’ll find in a dive. Its whiskey selection is on point, as is the food you can order directly from Abyssinia. Our only complaint is the lack of seats, but with limited space available and live music, you won't want to sit anyways. With a murderer's row of bars in the area, the one true dive bar that sticks out in Old City is Drinker’s. Those claiming that Khyber Pass is a dive bar are fooling themselves; dive bars aren’t stocked with a beer selection that includes Bayerischer Banhof Leipziger. 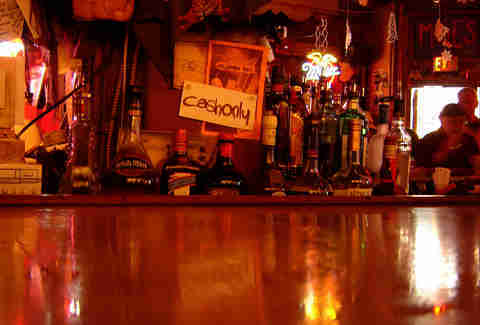 Drinker’s, however, is the quintessential dive -- a place where you go to drink, often times hard. It serves 40s, cheap draft beer, and boozy huggie bombs (for the nostalgic). And like any dive bar, the food is pretty good as long as it’s swimming in buffalo sauce. While the popular choice in the area might be McGlinchey's, hear us out on the reasons why Locust Rendezvous is the top dive bar in the neighborhood. When evaluating a dive, you have to consider food (almost everything is fried), the drinks (it has $2 beers and $2.50 shot specials), and ambiance (perfect mix of younger people, locals, and surly regulars). Going to the 'Vous is like hooking up with someone who’s a nine at night and a two in the morning. Great in the moment, terrible decision the next day. At Ray’s Happy Birthday Bar, everybody might not know your name, but they will give you a free birthday-cake shot on your birthday, complete with a candle. 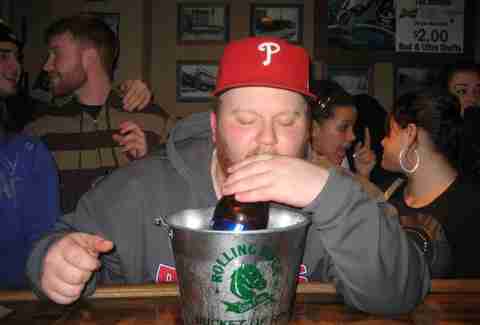 On days when it isn’t the anniversary of the hardest day of your mom’s life, Ray’s is your typical South Philly dive. You can even still smoke at Ray’s, which is either the greatest thing on Earth or a serious annoyance (where you fall on the scale is, not surprisingly, tied to your alcohol consumption). A Philadelphia institution since 1933 (although the name has changed a few times over the years), Dirty Frank's represents all that’s good about your neighborhood drinking hole. There are random wall/ceiling tchotchkes, $2 Milwaukee's Best on the Shelf of Shame, and you can bring your dog inside. Spend a day at Dirty Frank's and you’re bound to see every type of Philly bar character: regulars, hipsters, lecherous old men, and at least one person in an Iggles shirt -- just remember, Frank's is CASH ONLY.